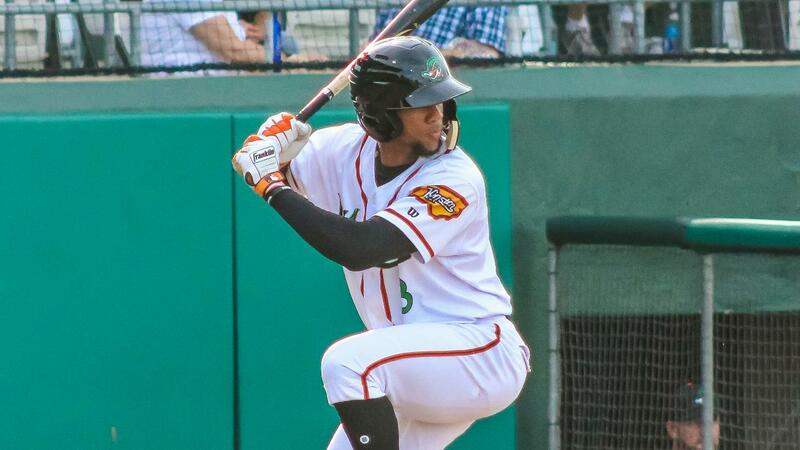 Kinston, N.C. - The Down East Wood Ducks had baserunners on in eight of the nine innings, but were held to just two runs, in a 5-2 loss to Lynchburg on Thursday. Tyler Thomas (loss, 0-2) suffered the loss for the Wood Ducks, going 4.2 innings allowing three runs, all earned, on six hits, he walked three and struck out four. Lynchburg starter Jean Carlos Mejia (win, 1-0) picked up his first win of the year, tossing six innings, giving up one run on four hits, he walked two, and struck out seven. The Wood Ducks responded with a run in the eighth. With two out, Taveras bunted for a hit, and then Tejeda and Tyreque Reed laced back-to-back singles up the middle to push the deficit to 5-2. However Lynchburg turned to the bullpen and Jared Robinson (save, 2), who came in to record the final four outs and seal the game for the Hillcats. The teams are back in action tomorrow night at 7 p.m. for the second game of the four game series. Righty A.J. Alexy (0-1, 5.40) makes the start for the Wood Ducks, opposed by Lynchburg righty Eli Morgan (1-0, 0.00). It's Mother Earth Friday at Grainger Stadium, complete with postgame fireworks presented by WNCT. The broadcast will begin at 6:50 p.m. on 960AM The Bull and online at 960thebull.com as well as on the MiLB First Pitch and TuneIn Radio Apps. For tickets and more information visit woodducksbaseball.com, or call (252) 686-5172.